TL-ADM Bako Air Boeing 737-200Adv (22264/753), Nimes 30/11/2005. I took this photo from my 737 before undergoing a post-maintenance check flight from the heavy maintenance base at Nimes (LFTW) in France. 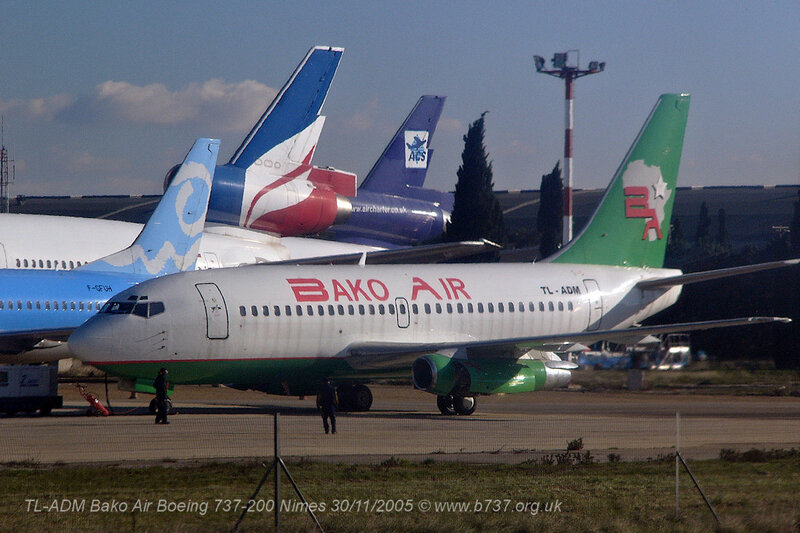 The aircraft is a 737-200 from the short-lived Bako Air of Nigeria. 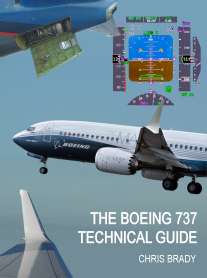 You can see in this photo it is performing engine runs with the cowls open and engineers outside on the headset and monitoring the engine externally. The aircraft was built in 1981 and served for 21 years in Canada as C-GPPW with Pacific Western, Canadian Airlines and Air Canada, before going into storage for 3 years at Mohave and Nimes until 2005 when this photo was taken. The aircraft was leased to Trans Air Congo and then put into storage again at Bangui, Central African Republic, for another two years. In April 2009 the aircraft was re-activated and after several days of maintenance, high speed taxi tests were carried out followed by a successful check flight to Brazzaville-Maya Maya Airport (BZV), Congo. On the 29 Apr 2009 it was being ferryed to Harare, Zimbabwe for further maintenance but it crashed en-route, near Massamba Village, DRC. at 0600h local time around 125 miles east of Kinshasa. It was carrying 2 crew and 5 mechanics, all died.